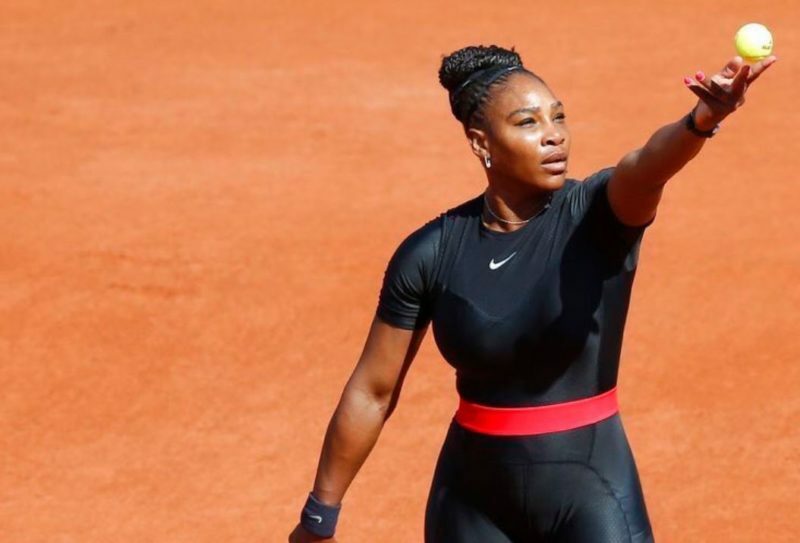 France 24:– Some tennis fans expressed outrage over the weekend, after French Tennis Federation (FTF) President Bernard Giudicelli said that Serena Williams’ famous “catsuit” would be banned at Roland Garros next year under the tournament’s new dress code. Giudicelli singled out Williams’ black “catsuit”, which she wore to the tournament last year, as an example. “It will no longer be accepted. One must respect the game and the place,” he said. Williams has said that she wears the form-hugging outfit to help prevent blood-clots, a condition with which she has struggled since having her first child last year. She even dedicated the suit – which she said makes her feel like a superhero – to new mothers experiencing “a tough recovery from pregnancy”. Giudicelli’s comments immediately stirred controversy, with tennis fans flocking to the Internet to vent their opposition. Nike, Williams’ longtime sponsor, posted a black-and-white photo of the 23-time Grand Slam champion wearing the catsuit with the words: “You can take the superhero out of her costume, but you can’t take away her superpowers”. Meanwhile, women’s rights activist and former tennis great, Billy Jean King – who was the subject of the recent film “Battle of Sexes”, starring Emma Stone and Steve Carell – deplored what she called the “policing of women’s bodies”. Williams, however, dismissed the controversy on Saturday, saying she was confident the FTF would make an exception for players who violate its new dress code for medical reasons. She went on to praise Giudicelli, adding she was sure they would be able to reach an agreement ahead of next year’s tournament. “The president of the French Federation, he’s been really amazing. He’s been so easy to talk to. My whole team is basically French, so, yeah, we have a wonderful relationship. I’m sure we will come to an understanding,” she said.